Ever tried running a marathon with your iPhone strapped to your arm? Or tried to check tide charts on your Android phone while boating in rough water? I’ll bet it wasn’t such a great experience. Today’s sports watches are so much more diverse and useful in function than even just a decade ago. You might be shocked at the things a good sports watch can do now. Perhaps it’s time to buy yourself a new one. But how do you figure out what’s the best sports watch for you? What do you need to know about today’s models? How can you get the best sports watch for your hard-earned money? That’s what we’ll figure out together. Like anything else you buy, you should figure out what you need first. Need is the key word here. For an example of how to figure out your needs, check out the spreadsheet below showing what you might want if you run, fish, and climb. The features highlighted green are ones that are common to two or more of the sports chosen. The features that have white backgrounds are pretty specialized to the sport. By listing the features in this way, you can identify which ones must be in your watch, if you’re buying only one watch. If you can find a watch with a few of the more specialized needs as well, that’s even better. Off to the side are the nice-t0-have features. You might be willing to spend a few dollars more, if you can find a watch that includes those as well. In this example, you might need to look at buying two watches; one for your running and climbing, and one for your fishing. The features found in fishing watches are pretty particular to fishing or hunting watches. A special note about water resistance (WR) – somewhere on the watch it might say something like WR 3 ATM. ATM stands for atmospheres. It’s a measure of water depth. An atmosphere is equal to an almost 33 foot tall tube, full of water, with your watch at the bottom. The point of that is to show you how much water pressure it would take to get water past the seals of the watch. 3 ATM/30 meters/100 feet: Good for everyday use where you might get rained on or spill something on it. 5 ATM/50 meters/165 feet: Don’t panic if you accidentally wear it in the shower. 10 ATM/100 meters/330 feet: Swimmers and snorkelers should get a watch with at least this rating. 20 ATM/200 meters/660 feet: You’re Jacques Cousteau and do a LOT on open water or diving. Water resistance ratings do not take into account any chemicals that might be in the water. If the water has corrosive or acidic stuff in it, the water could break down the seals at any depth. Seals also just break down over time, so do some maintenance and have a certified watch repairer change them once in awhile. 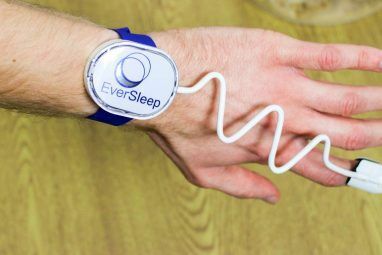 You might find the sports watch that meets your needs but it’s made by a company you’ve never heard of. It could still be a good watch, so do some research on the Web. Read ratings reports and opinions of people who have bought one. See what kind of warranty the manufacturer or seller will give you. A good sports watch can cost hundreds, even thousands! You most likely know the names of many watch makers that have been around awhile; Casio, Timex, and Seiko are a few. Yet there are a few others you might not have heard of, which have solid reputations too; Garmin, Suunto, Adidas, Polar, and Nike all come to mind. 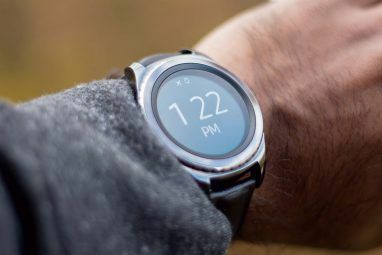 Of course, there are also smart watches with strong sports features, yet they’re a little outside the scope of this article. If you’re buying online, be on the look out for counterfeit watches. Today, an entry level sports watch with a few features could be made for as little as $5, if you cut corners. The temptation is there for shifty manufacturers to try to pass them off as brand name watches that can sell for $50 or more. It’s an easy way for them to make an astronomical profit, while you get stuck with an inferior watch and no warranty. There are plenty of resources and videos out there on how to tell a fake from the real deal. Educate yourself. You would do well to find a few makes and models that interest you, then find a retailer near you that sells them. Go try them on. Find out if it’s comfortable. Try out the features and see how to make them work. Are there any accessories you might not know about? Heart rate belts, chargers, or foot pods come to mind. Do they service the watches here or send them somewhere to be fixed? Are there any little tricks to this watch that you should know about? What things can you do to make this watch work well for years to come? If the warranty covers replacement, is it over the counter or do you have to wait for the manufacturer to send you one? Does the store have their own guarantee as well? What are the details? You’re going to be wearing this watch for a few years, maybe decades. You need to be completely happy with it. 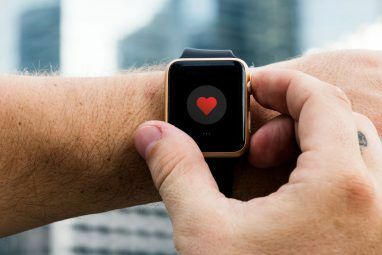 By going to a retailer, you might find the watch is slightly more expensive, but you also might find you’ve got a good shop in town that will give you service you just can’t get over the Internet. If you do plan on buying your watch online, there are some interesting ways to save money when shopping on the Web Shipping Smartly: 5 Frugal Tips to Save Money When Shopping Online Shipping Smartly: 5 Frugal Tips to Save Money When Shopping Online You're shopping around online, you find the perfect item just within your budget, but the shipping is just way too much? Here's how to cut those fees down to size. Read More . To get the ball rolling, here are some recommendations for sports watches in three price categories: Lower (Under $100), Medium ($100 – $1000), and Higher (Over $1000). The multifunction Casio Sports STB1000-1 is a clear choice for any athlete. With it’s fashionable G-Shock styling, Bluetooth capabilities, and compatibility with Wahoo Fitness apps for iOS and Android, and Abvio fitness apps for iOS, it should do everything you need. At $99.95 it comes in just under our $100 limit. If you really wish you could also keep track of your running information, you can enter data from your run into a site like RunKeeper. Honourable Mention: Timex Health Touch Plus Heart Rate Sensor & Walk Sensor $95 USD. Once you go above that $100 mark, options open up vastly. 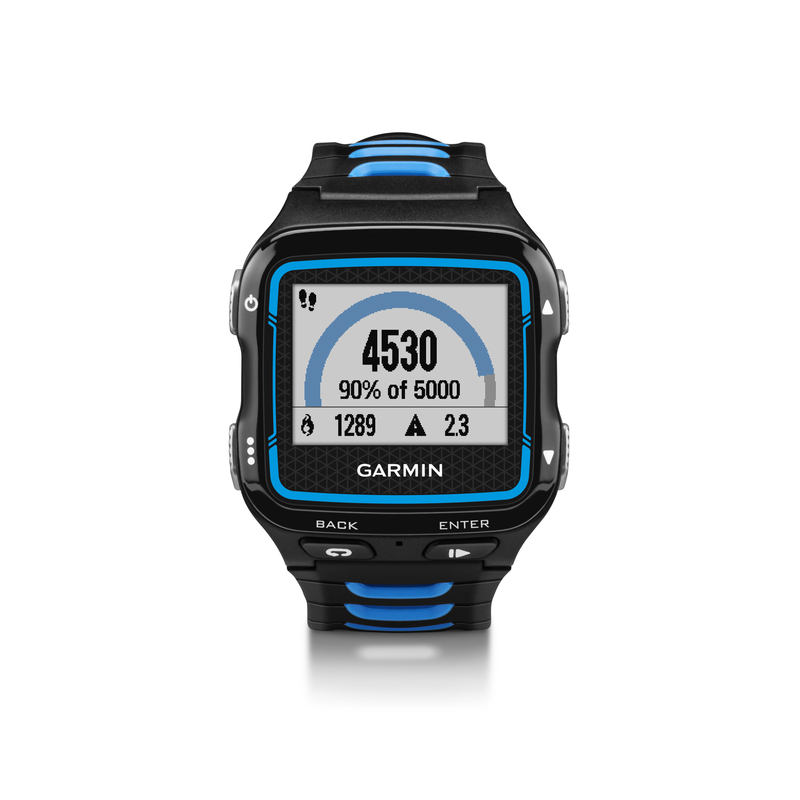 You’ll get the most for your money out of the Garmin Forerunner 920XT with HRM-Run option for $500 USD. The Forerunner is a multisport watch that can help you with your running, swimming, and cycling performance with many advanced training features than could be mentioned here. Being from Garmin, it also has excellent GPS capabilities, of course. You can also download software to work with your watch for your Windows, Mac, iPhone, or Android phone. If you want your info available to you anywhere, Garmin also has the GarminConnect website with a suite of features, again for free. Honourable Mention: Suunto Quest GPS Pack, $249 USD. If you’ve got the money, a LOT of people have the time. With a budget in excess of $1000, you could get a digital watch with all the functions you could ever want. Yet once you get past the $1,000 mark, you should probably be looking for a sports watch that is also an investment. As a rule, digital watches don’t hold value while mechanical watches do hold, or even increase, in value. Let’s look at the mechanical sports watch world then. Omega has been the official chronometer of the Olympics since 1932. You cannot be any more of a prestige sports watch than that. For the 2016 Olympics in Rio de Janeiro, Brazil, Omega has produced the stunning Speedmaster Mark II Rio 2016. You better act quick with your $6,500 USD, because there will only be 2016 of them. Honourable Mention: Rolex Yacht-Master II $19,895 USD. You are armed with information, questions, a budget and some great watches against which you can measure your choices. Go forth and finish first in the race for your perfect sports watch. What’s your favourite sports watch? Have you seen any with really interesting or obscure features? Let us know in the comments, that’s how we all learn. 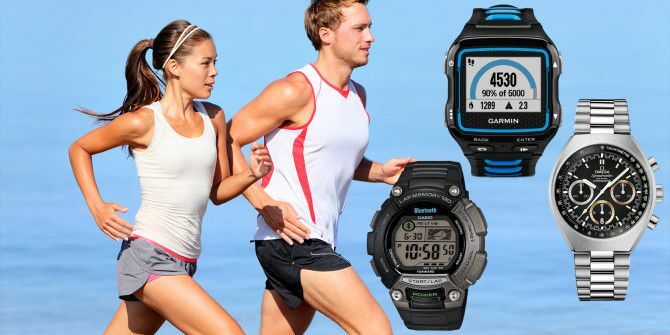 Image Credits: Casio STB1000-1 via Casio, Garmin Forerunner 920XT via Aerogeeks, Speedmaster Mark II Rio 2016 via Omega, Man and Woman Jogging, Couple Shopping via Shutterstock, Suunto Logo via Dosede Trail, Garmin Logo via Pulse2 Polar Logo via 243tcr, Suunto Logo, Nike+ Logo, Adidas Logo via Wikipedia.